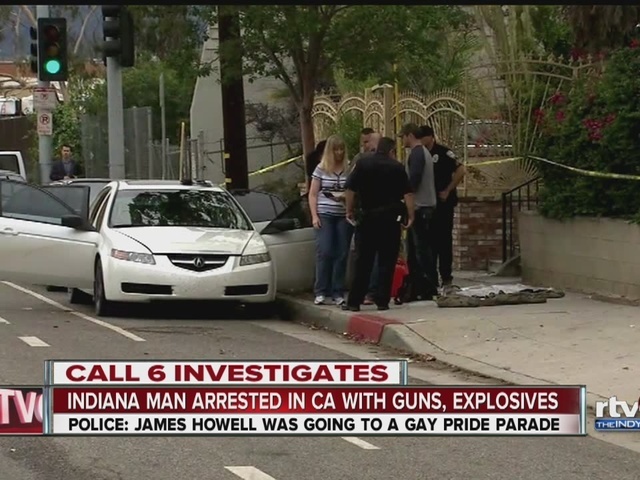 INDIANAPOLIS -- Call 6 Investigates has learned that the Indiana man arrested in connection with bringing explosive materials and guns to the LA Pride festival on Sunday had at least one previous boyfriend. According to court documents and police reports obtained by Call 6 Investigates, James Howell dated a 17-year-old in Clarkstown, Ind., and police were called multiple times for domestic dispute reports in October of last year. In the first incident on October 11, police responded after the manager at the teen's place of work said Howell called and threatened to shoot the teen. Police later found out that the 17-year-old changed his story multiple times and also said that Howell had broken up with him on that day. When investigators talked to Howell, he denied the allegations that he threatened to ever harm his ex-boyfriend. Howell told police that the 17-year-old had lied to him about several things including his age. Howell allowed the officer to take a look around his home and no guns were found inside. 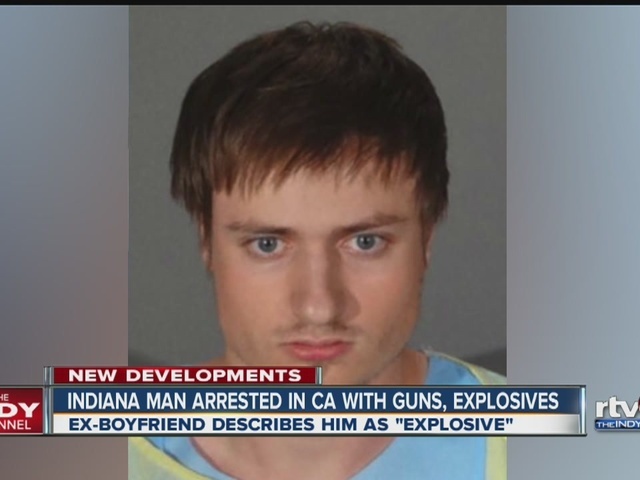 Then on October 14, police were called to Howell’s home for a domestic disturbance with one person armed with an AR style rifle, according to reports. When officers arrived, the 17-year-old was running down the street toward the police car. He told police that Howell came out of the home, pointed the rifle at him, and told him to leave. Reports say that police spoke with Howell and he told them that he had an ongoing problem with the ex-boyfriend and his mother coming over to the house. Howell went on to tell officers, "I told him to leave my yard and that is when I grabbed one of my rifles and held the gun up on my shoulder and continued to ask him to leave my yard.” But Howell said that he kept the gun pointed toward the sky. Police interviewed four witnesses at the scene and they all said that Howell held the gun on his shoulder during the confrontation. Then on October 15, police went to Howell’s home for a harassment report. Howell told officers that his ex-boyfriend kept sending him harassing text messages and calling his phone. Howell said that his ex-boyfriend threatened to take him in the woods behind the Dollar Store on Market Street and beat him up. Officers later spoke to the 17-year-old ex-boyfriend who said he was just trying to get property from Howell, but he was uncooperative. No criminal charges were filed in connection with any of the calls to police.